Sept. 26, 8:02 p.m.: A police office was in his cruiser on the 100 block of School Street when the vehicle was rear-ended by another vehicle. The officer radioed in to request that a supervisor come investigate the accident. Neither the officer nor the driver was injured. When the investigating officer spoke to the driver, she showed signs of impairment. She was unsteady on her feet and was lethargic, but showed no signs of consuming alcohol. She said, however, that she had taken prescription medication before driving. She failed field sobriety tests and an officer from the Belmont Police responded, who is an expert in drug detecting drug use, and said that he believed the driver was under the influence of drugs. When police inspected the vehicle they found 20 pills in a plastic bag for which the woman did not have a prescription. The 23-year-old Waltham woman was arrested on charges of driving under the influence of drugs, possession of a Class E drug and marked lanes violation. Sept. 28, 9:47 p.m.: At 8:50 p.m., Watertown Police received an alert from the Belmont Police to be on the look out for a white Mazda which was being driven erratically. 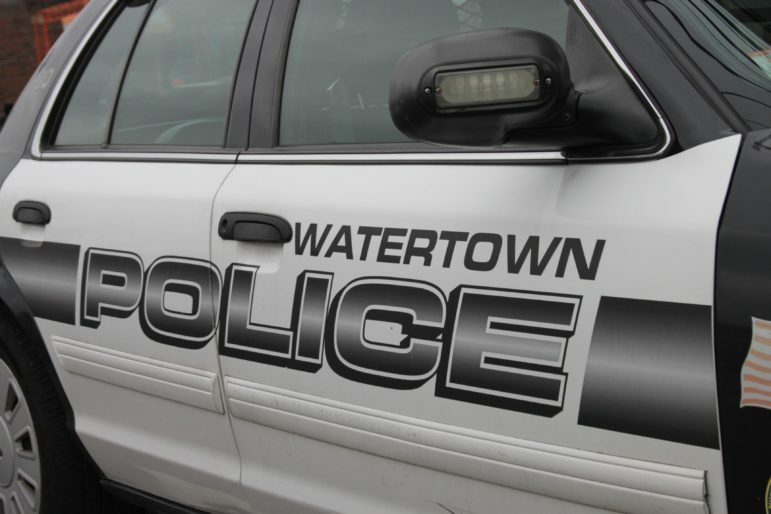 About five minutes later Watertown Police received a report of a vehicle that crashed into a parked car. Officers responded and found that the description and plate number matched the one from Belmont. The driver showed signs of impairment, and officers detected an odor of marijuana in the vehicle. Police found seven bags with marijuana inside, one with more than one once of marijuana, and six with smaller amounts. They also found a marijuana grinder. Also, several pills were found on the driver. The man said he was making deliveries for a marijuana company. The driver failed three of four field sobriety tests. The drug recognition officer from Belmont also responded and said the driver appeared to be under the influence of drugs. Police also found the vehicle’s registration was revoked. The 29-year-old Revere man was arrested on charges of driving under the influence of drugs, negligent operation of a motor vehicle, driving an unregistered motor vehicle, driving an uninsured motor vehicle, possession to distribute a Class D drug, and possession of a Class E drug. Sept. 30, 5:21 p.m.: Police spotted a driver run a stop sign at Elm Street and Arlington Street. The officer pulled the vehicle over and found the driver’s license was suspended. The 48-year-old Westwood resident was arrested for driving with a suspended license and a stop sign violation. Sept. 25, 1:51 a.m.: A woman flagged down Police at the corner of Nichols and Elton avenues to report that she had seen a man who had harassed her on two occasions. The woman said she usually gets off at the 71 bus stop near 7-Eleven in Coolidge Square, but she saw a man who had used vulgar language when speaking with her and asked her for her number on Sept. 21 and 22. She decided to get off at the next stop to avoid him. The man was described as a skinny, African-American man, 5-foot-6, and on Sept. 25 he was wearing a black sweatshirt and black sweatpants, and was riding a bicycle. Police searched the area but could not find the man. Sept. 25, 7:43 p.m.: Police went to Target for a detained shoplifter. The woman came into the store and put clothing items into her pocketbook and put a blow up mattress into her shopping cart and left without paying. The woman was stopped and had 17 items worth $140.79. The 26-year-old woman from Allston was summonsed to Waltham District Court for shoplifting by concealing merchandise.